​Medicines for Children Network, Norway (the Network) was established in 2009, following processing of the Parliamentary Medicinal Report, published in 2005. The government was instructed by the Parliament to facilitate better nationwide competence relevant to all aspects of pediatric medicinal treatment on all levels, by establishing an interdisciplinary network encompassing relevant professions and institutions. Medicines for Children Network, Norway presently consists of doctors, nurses and pharmacists, working together to ensure that medicinal treatment of children is being focused and given priority within the pharmaceutical industry, relevant national regulatory authorities and administrators, in pharmacies and amongst healthcare workers on all levels. The overall aim of the Network is to ensure that pediatric medicinal treatment is appropriate and safe, and as far as possible based on solid evidence, using products that are properly licensed by the authorities. All involved parties should have – or have free and immediate access to – relevant and authorized information, ensuring appropriate and safe professional conduct, and ditto interactions between involved professionals and professions.  All hospital trusts in Norway are represented in the Network. At all pediatric departments in the country, there is an interdisciplinary group with responsibility for medicinal issues pertaining to children who are under the care of the hospital trust. Primary healthcare is also focused by the Network, to ensure proper use of medicines for children with general practitioners, health care centers for children and first line emergency care centers, and to optimize coordination between service providers as well as between first, second and third line services. Website Editor and Chief Executive Secretary of the Network, hospital pharmacist Margrete Einen, can be reached at +47 995 83 433. Doctor in the Network staff, pediatrician Henrik Irgens, can be reached at +47 400 42 778.